The Ingolstadt brand’s TT model, whose first iteration stunned the automotive world back in 1998 with its bold Bauhaus-inspired looks, has become something of a marginal note in recent years, with many commentators suggesting time was up for a model line that has lost impact with each successive generation and is, above all else, part of an automotive niche that’s falling into oblivion anyway: the sports car. The exact specification of this new TT-TT concept car remains unclear for the time being, but Audi’s press release also includes a moody sketch that seems to suggest this new iteration will turn into the erstwhile sports car into a crossover of some kind. It remains to be seen if this new attitude is enough to convince the car-buying public of the merits of a 2+2 seater performance car, albeit one of increased ride height. Furthermore, Audi are clearly intent on proving that the brand has ended an era of navel-gazing and stagnation. For these reasons, it would appear as though TT-TT has its work cut out. “Form language” sounds so much better than mere “styling” but it´s such an unhelpful way to think of what stylists do. I don´t think of Audi´s current style as technical sharpness. That descriptor could be extended to cover all of Audi’s current designs (and many of its customers). Macho is simply not a positive term. I wonder if the fellow knows the connotations. I see it as short-hand for negative aspects of masculinity. Time for Audi to launch their TT-TT aftershave and male grooming products line, I think! Whatever it is (or will be) sounds terrifying. If the future of TT is as a SUV then I’d rather it had no future at all. Judge Dredd’s wheels. Now he WAS macho and had no problem in dealing with you if you thought otherwise. I can see the Tee Tee Tee Tee becoming the darling of Audi-philes. Will indicators be an optional extra? a heritage point of view. might be onto something big here. We also said, once, that the X6 was an answer to a question which ended with an exclamation mark. They don’t care. It sells. Marketing must be the most complex thing known to man. Never could get on with the style of the original TT personally, which I mentally classified with the reborn Beetle as too round, and the same car underneath, near enough anyway, at least as they were sold around these parts. Not that many TTs were sold, buyers staying away in droves at the aspirational pricing if nothing else. As the key interior feature was leather seating held together like baseball catcher’s mitts or mocassins it was entirely too twee for many. Obviously, however, I concede it seems to occupy high status among many far more experienced at critiquing design than I am. 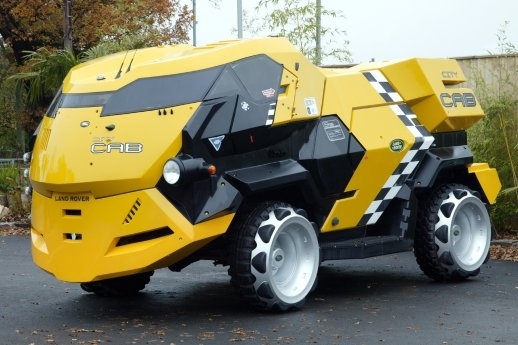 If BMW can apply corporate blinders for years and continue to dub its SUV/crossovers as SAVs, or Sports Activity Vehicles, then perhaps that cartoonish giant-wheeled TT could be labelled a UAV, Urban Assault Vehicle, because everyone gets annoyed at kerbs (or curbs as we dub them) getting in the way of progress, and they would be invisible to this thing. 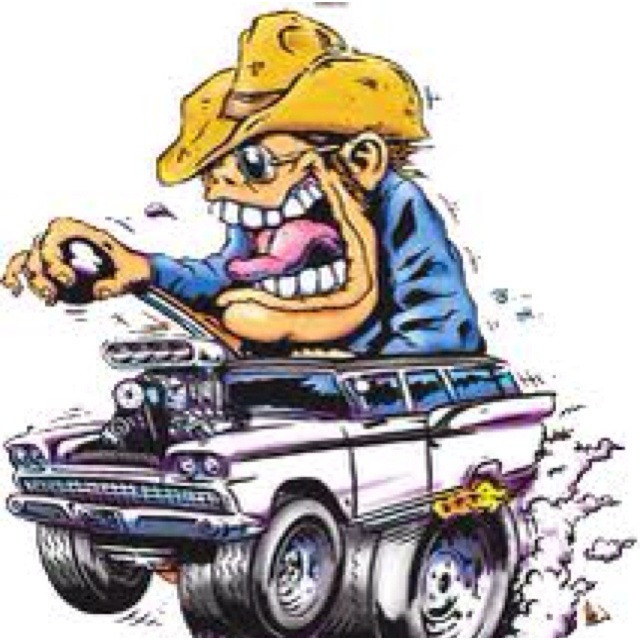 For some reason, I am reminded of a 60 year old phenomenon that originated in California as the Big Daddy Ed Roth Ratfink school of “art”. Here is a ’59 Ford subjected to the same mindset as the TT, but with a driver added. Relax, it’s intended to be humorous!